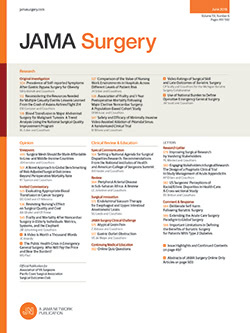 In this issue of JAMA Surgery, Wu et al1 present a robust decision analysis that builds on a systematic review of the literature2 and the findings of a recent practice management guideline from the Eastern Association for the Surgery of Trauma3 on cervical spine clearance in obtunded adult blunt trauma patients. These studies have shown that cervical spine clearance in obtunded trauma patients who have received high-quality cervical spine computed tomographic scans that are negative for acute injury alone, without further magnetic resonance imaging, is a safe and acceptable practice. While readers may quibble over the nuanced assumptions made by Wu et al, it is clear that they present a high-quality analysis supporting the cost-effectiveness of this approach.1 However, the devil is in the details, which the literature is never 100% positioned to provide. Those important particulars continue to dissuade communities of interdisciplinary clinicians (ie, emergency medicine, radiology, critical care, trauma, orthopedic, and neurosurgical physicians) from changing practice in the care of the injured patient.